As per initial reports the bomb attack was meant to target the mosque where people had gathered for Friday’s prayer. Police sources fear that it was a suicide blast. Initial reports have confirmed that two people have been injured so far including a police official. 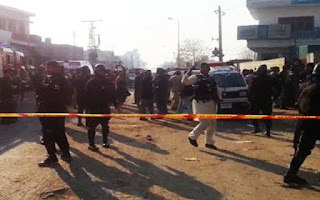 And more people are feared to be injured in the blast as the police have cordoned off the site of the blast. It has been learnt that Gulshan-e-Usman is a populated residential area where a suspicious burqa-clad woman could be spotted since the morning. According to our reporter, when the woman was tried to be moved from the place, she blasted herself. 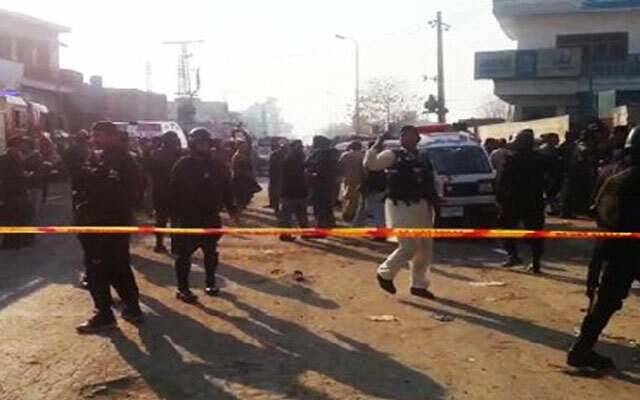 The blast took place fifty meters from a mosque where people had gathered for weekly Friday prayer. More police personnel have been called in as back up. Meanwhile Rescue 1122 and Edhi service’s rescue personnel have reached the area that has been cordoned off and public movement has been restricted. Those injured in the blast have been shifted to nearby hospital. DPO and DCO Rahim Yar Khan also reached the site immediately.